The project focuses on climate predictions from seasonal-to-decadal timescales for the Mediterranean region (here defined as the domain encompassing the Mediterranean basin and the surrounding areas), and their applications in different sectors. The IRPI contribution will cover this aspect of the project, with specific reference to the conditions and evolution of cryosphere resources (WP4, Task 4.2). The project aims to develop climate forecast capabilities and related services on seasonal-to-decadal timescales. The specific objectives are: a) improve our comprehension of the mechanisms driving the climate variability in the Mediterranean region; b) provide a set of generalized methods and ready-to-use tools; c) provide prototypes of climate services products. The project intends to exploit the wide range of existing datasets of climate observations and forecasts, carrying on targeted sensitivity experiments, developing innovative empirical forecasting systems and novel process-based methods for bias correction and downscaling. 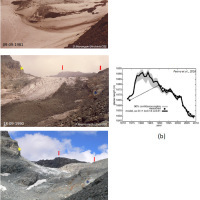 IRPI will use the seasonal-to-decadal climate forecasts to anticipate the evolution of snowpack and glaciers in selected areas of the Italian Alps. MEDSCOPE will deliver top-quality climate information, supported by cutting-edge research, tailored for climate services in the Mediterranean and will empower their use by the Mediterranean user community. 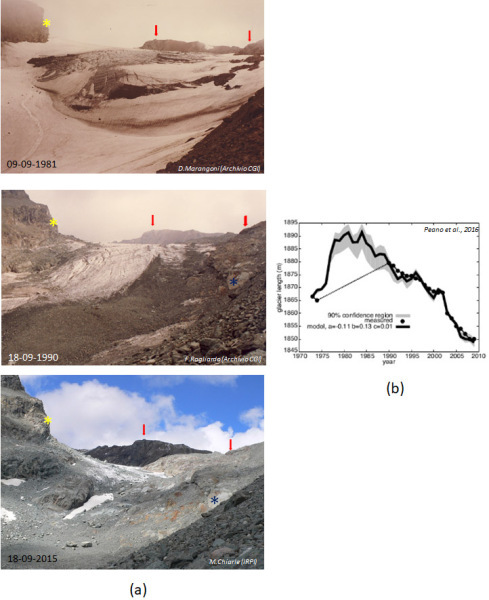 IRPI will assess the added value provided by the project to the estimate of the evolution, on the seasonal-to-decadal timescale, of cryosphere resources (snow and glaciers) in the Alpine environment. The overall outcome of MEDSCOPE will be a set of tools and methods aimed at improving the production of climate services based on climate forecasts. In this context, IRPI will contribute with a series of simulations aimed at anticipating the evolution of the cryosphere resource based on the climate forecasts elaborated by the project. MEDSCOPE is expected to fill the existing gaps between climate model output and applicable services, by extracting and tailoring the best information to produce climate services. The added value provided by MEDSCOPE to climate services will be assessed for various sectors with high socio-economic impact. IRPI will contribute through the assessment of climate predictions for the forecast of cryosphere resources.